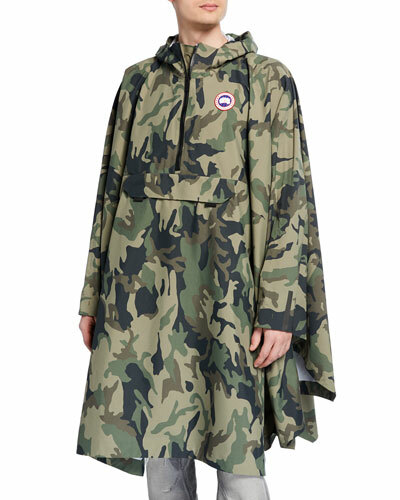 Founded in 1957, Canada Goose is one of the leading makers of cold-weather outerwear products. Tested in harsh conditions from Mount Everest to the Arctic, Canada Goose stands the test of time as a go-to brand for the harshest winters and coldest climates. 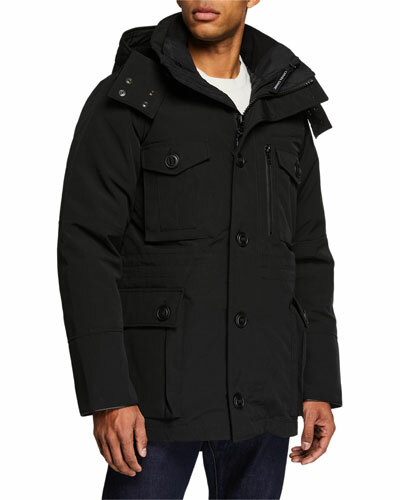 Whether you need to stay cozy at a mountain resort or keep warm on a snowy walk through the city, Canada Goose outerwear is the perfect option to protect you from the elements in style. 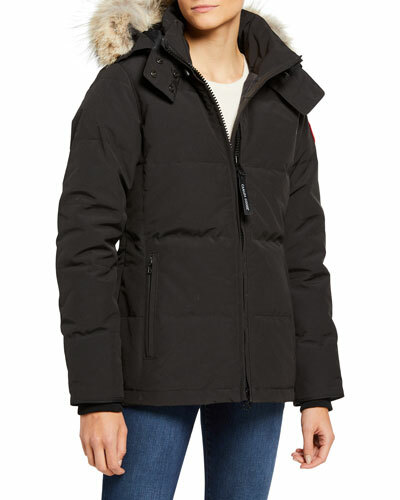 Neiman Marcus offers an assortment of rugged Canada Goose women’s, men’s, and kids’ outerwear, jackets, and cold weather accessories. Brunello Cucinelli safari jacket in suede. Dyed lamb fur (France) lining. Spread collar; snap-placket zip front. Four front flap pockets. Brunello Cucinelli safari jacket in suede. Dyed lamb fur (France) lining. Spread collar; snap-placket zip front. Four front flap pockets. Cutaway hem. Made in Italy. Model's measurements: Height, 6'1"/185cm, waist 30"/76cm, suit 38R, shirt 14.5x34, inseam 34"/86cm.